In 2014, a short video of a simple moment in a old-fashioned nursing home went viral. One might wonder why a man listening to an MP3 player in a YouTube video could start a movement. Henry was the man’s name. And, Henry had dementia. As you can see in the video, Henry was listless and unresponsive. But, when listening to music chosen especially for him and a playlist designed by understanding his personal music history, Henry comes Alive. At Koelsch Communities, we have been providing a comfortable and vibrant home for Elders over 40 years. As documentaries, movies, and research began to demonstrate the impact of MP3 players and personalized music, we knew this was an opportunity every one of our residents deserved. Music has the ability to soothe the spirit and calm the mind. For older adults, music can also transport them back to happy times from their youth. 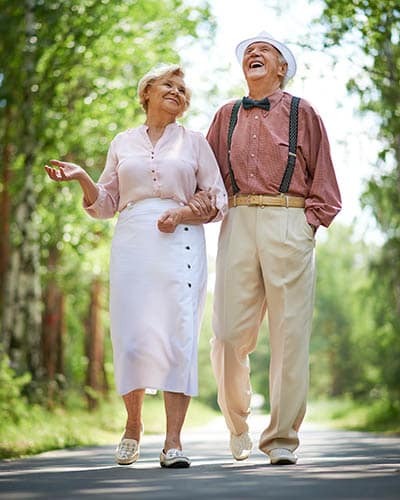 It can help to boost mood and decrease rates of depression among seniors. So much so, in fact, that music therapy has become a staple in all Koelsch Communities. For people living with dementia, music reduces the agitation and anxiety that are often very difficult for caregivers to manage. Newer research seems to indicate that music, used appropriately, can even improve cognition. Alzheimer’s experts believe a person’s ability to engage with music stays intact later into the disease process because it requires little cognitive processing. Rhythm playing and singing old familiar tunes can help stimulate the brain, each function relies on different parts of the brain to perform. Join us in the amazing journey of connecting elders with memory loss to the music of a lifetime. Families and friends complete a personal music history. Koelsch team members create a personalized playlist. The elder comes alive while listening to their music with comfortable headphones. Want to get started for someone you care about? Interested in making a difference by donating a device, gift card, or your time? For more information on how you can help be a part of bringing music to our residents, contact your local Koelsch Community. We are excited to invite you on this journey! To find out more about music and its effects on those with Alzheimer’s and Dementia, Check out Alive Inside.